Oh my goodness, now there's popcorn and there's POPCORN! Having been sent a tub of Garrett Popcorn to try - our opinion is this really is the bees knees of Popcorn, and I really mean it! This tub was shipped over from the USA and then overnight to our house. It arrived still fresh as a daisy.....Yes this is something truly delicious. Pictured above, The Chicago mix - loving the little scoop that came with it! The 'Chicago Mix' is a blend of two flavours that compliment each other beautifully - sweet 'CaramelCrisp' and savoury 'CheeseCorn'. The Caramel crisp is buttery brown sugar with a cream brûlée crunch. the Cheese corn popcorn flavoured with a melted sharp cheese and tastes amazing. 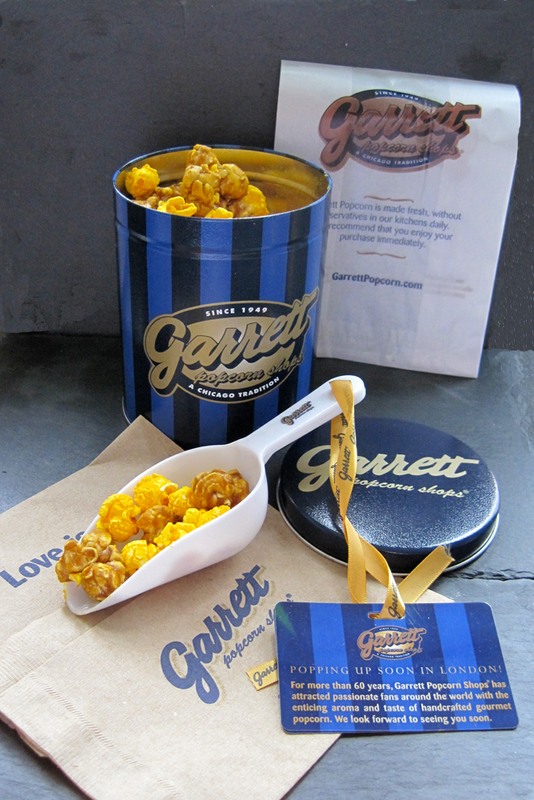 Garrett, the Original Handcrafted Gourmet Popcorn which began in 1949 and has become a household name in Chicago and the rest of the USA and has since spread to the Far East and Middle East. Garrett Popcorn is launching a UK Shop at the end of summer in London, which is fantastic news! Many thanks to Emma for sending us some to try, we (myself and Paul the husband) are both well and truly addicted! 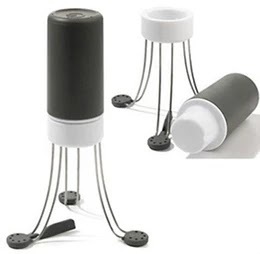 All thoughts and opinions are my own and I only ever post reviews on products I love and therefore would buy myself.